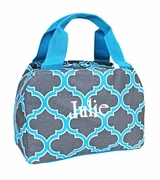 Personalized damask pattern lunch tote. Brighten up your day at work with this striking lunch bag. It comes in deep coral with black contrasting handles. 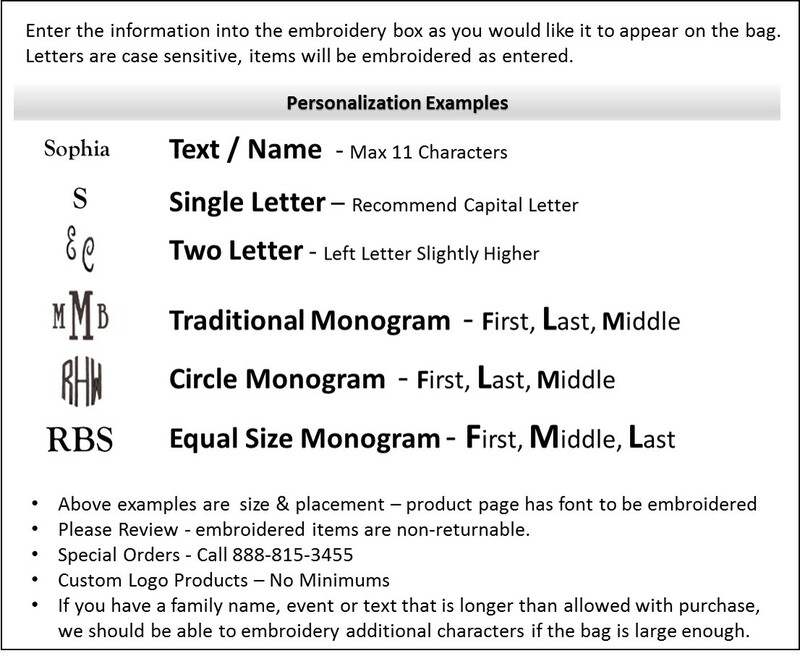 Adorning the bag are ornate damask patterns in pristine white, in classic swirls and scrolls. Two open outside pockets for cell phone, ID and keys. Zippered side to side opening for easy access to contents. The trendy shape and compact design makes it ideal to carry on your commute to work and the zip closure keeps your food fresh and tasty. 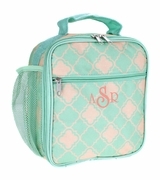 Embroidered damask lunch tote measures 10"W x 8"H x 4.5" across bottom. Thermal insulated. Hand carry.